"The only original Fresnel lens operating on Lake Ontario"
Capt. John Tibbetts of Troy, NY gave 3 acres of his 600 acres to the Federal Government to establish a Lighthouse. In 1827 the first Tower and Keeper's Quarters were built. In 1854 the first tower was replaced by the present circular one. This also marked the installation of the Fresnel Lens -- which is still in operation. A fog whistle was added in 1896. It was replaced with an air-diaphone in 1927 operated by a diesel engine with automatically timed blasts. In 1939 the U.S. Coast Guard assumed lighthouse duties until 1981 when the light was automated and serviced out of Oswego, NY. Lighthouse quarters became a Youth Hostel in 1984. 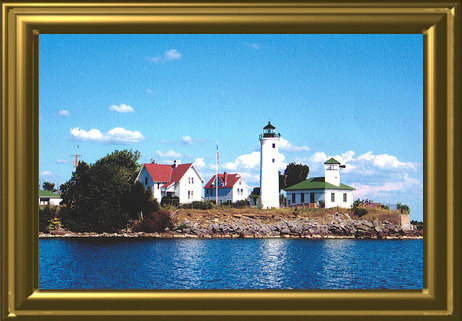 1988 Tibbetts Point Lighthouse Society is formed. 1991 was a big year for Tibbetts Point Lighthouse. Not only did the Town of Cape Vincent acquire it from the Dept. of the Interior, but the Lighthouse Quarters became Hostelling International (AYH). In 1993 the Visitors' Center was built by the Town of Cape Vincent. 1998 marked the opening of the renovated Fog Signal building to the public. Since 1999, the Tibbetts Point Lighthouse Society has funded numerous major renovations inside and outside. "Where Lake and River Meet"
Tibbetts Point Lighthouse marks the point where Lake Ontario meets the St. Lawrence River in Northern New York State. 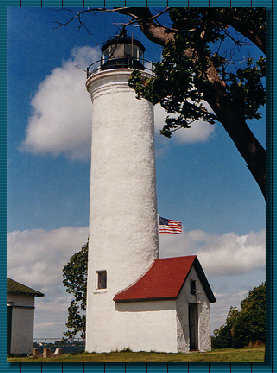 Built in 1827, the Lighthouse features the only original working Fresnel lens in Lake Ontario. Visitors will enjoy using the provided telescope to survey the Lake and River. Tibbetts Point Lighthouse also features a Hostel for those staying over in town. Membership begins the first of the year with mailings going out in October. Membership includes Annual Newsletter. 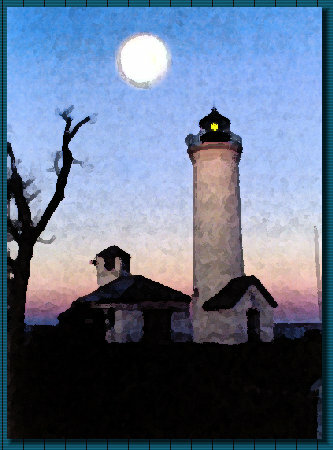 Tibbetts Point Lighthouse is open Memorial Day weekend to Columbus Day weekend. Take 81 North t6 exit 46 at Watertown. Take NYS 12F and then 12E to Cape Vincent. Turn left on Broadway, then go 2-1/2 miles until you reach the hostel (follow road to dead end at lighthouse). From Kingston, Ontario take ferry to Wolfe Island and then to Cape Vincent, straight 2 blocks and turn right on Broadway.